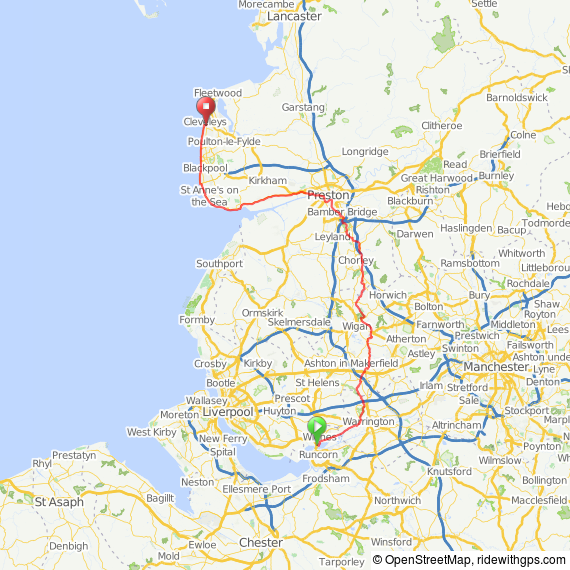 This isn’t a typical route for most LEJOGers – there’s no real reason for you to go back west to the coast once you’re past Preston but I stayed with a friend and so it was a good way for me to keep costs low whilst seeing a good friend. If you can stay with friends along your route I’d definitely recommend it for the morale boost more than anything. Hi Helen. Just looked at your map for the next leg of your journey. I have in my memory that some of the coastal roads somewhere between Morecambe and Grange -Over-sands get totally flooded at high tide.